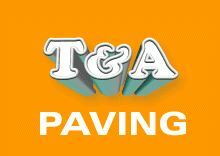 T & A Paving - Driveways/Patios/Paths based in Hampton Poyle, Oxfordshire. Welcome to my Checkatrade page and thank you for the time to LOOK into our details. T AND A PAVING, offer a full range of driveways/patios/ paths. Solutions tailored to suit your taste, property and budget. We are an established and professional block paving company in Oxford. We specialise in all types of block paving, patios, concrete, gravel, and tarmac driveways and paths. We carry out both domestic and commercial work over a wide geographical area across Oxfordshire and Buckinghamshire. We are skilled and experienced in a range of areas, including the design and full installation of block paving, slabs laying, tarmac and grave, walls, and associated general building. We offer a full range of colours and finishes, using only high qualified installers to ensure you get a durable stunning finish. We aim to work alongside you, as well as for you, and strive 100% customer satisfaction. We maintain this as we consider ourselves honest, reliable and hard-working. Please feel free to contact us to discuss your individual needs and requirements. We are always happy to help. We joined Checkatrade to be able to give our customers past, present and future an informed choice from our recommendations. All our driveways come with a full GUARANTEE as standard. We work within 30 miles with are site address so please feel free to call us any time for a free quote and advice. We also offer a full driveway refurbishment! Oxfordshire, Buckinghamshire and surrounding areas.